Just a few years ago, a digital camera was needed to snap a high quality photo. Today, camera features available on smartphones, tablets and other mobile devices make it easier than ever before for anyone and everyone to capture their lives in a series of images. Mobile device cameras have seen a steady increase in features, functionality and quality over the years. The spawn of mobile web apps has also sparked a revolution of mobile devices capable of capturing photos with a professional touch. If you want to enhance the picture-taking quality and ability of your mobile device, be sure to check out these five spectacular mobile apps for photographers. Anyone looking to sell photos commercially to magazines or as prints needs a model release for all photos that contain identifiable persons. 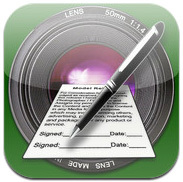 Easy Release is a mobile app made for the iPhone, iPad and iPod Touch that provides the tools to collect the digital signatures needed to own the rights to your photographs free and clear. Easy Release integrates with the built-in camera of your mobile device, making the $9.99 price tag well worth the investment. Light meters ensure the perfect lighting conditions for pictures taken with an external camera. One option to capture the perfect lighting is to carry along a traditional light meter with your external camera. 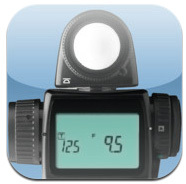 Alternatively, you can download Pocket Light Meter to your iPod, iPhone or iPad. Pocket Light Meter offers the same features you would find in a traditional light meter and is an absolute must for serious photographers. Free to download, the decision to download the app is a real no-brainer. Pocket Light Meter has already undergone an upgrade to perform better in low light. Photoshop is one of the most popular image-editing programs among photographers. Even the best photographers in the world encounter photos that simply fail to come out as desired. Whether you need to sharpen, brighten or crop photos taken on your mobile device, Adobe Photoshop Express provides the tools you need. Adobe Photoshop Express is available for free on the Android platform as well as all Apple devices including the iPad, iPhone and iPod Touch. A hotbed of creative thievery, the Internet presents risky business for anyone looking to upload or share photos with others. Photographers use watermarks to prevent people from stealing their hard work. Usually, photographers must pass photos through a desktop computer to watermark them. 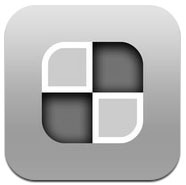 Impression is an app that provides a simple tool for watermarking photos directly on your iPhone, iPad or iPod Touch. You can download Impression for the low price of $1.99 and start protecting your investments today. When you are looking for an incredible cityscape or landscape shot, nothing beats a panoramic view. Photoaf Panorama is a free Android app that pulls photos together into a single seamless image offering a breathtaking 360-degree view of the shot. Photoaf Panorama uses the built-in sensors of the camera to determine the angle of each shot, which allows you to match the angles of the picture. You can then view the panorama shot by scrolling across on the screen. 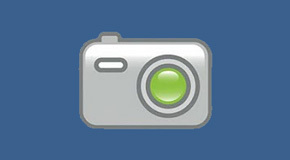 Any photographer or traveler who regularly encounters beautiful scenery will absolutely love this amazing Android app. Cameras built in to mobile devices are certainly more convenient than digital cameras. The downfall of built-in cameras on mobile devices is their picture quality. With just a few upgrades and a combination of the right mobile apps, you can enhance the quality of your built-in mobile camera to take professional photographs anytime and anywhere. Akesh Gupta is President of Light Speed Solutions. Light Speed Solutions is a custom software development company specializing in mobile application development services. Five top most apps I agreed, looking forward to get some more from you Mushfique , Cheers !! Great list of apps. Professional photographers could use these to protect their images. The only one of these I have is Photoshop Express. I will check out the others!